Time to start blogging about some of the reading I've been doing. Because otherwise I'm just talking about reading, not showing that I've read. 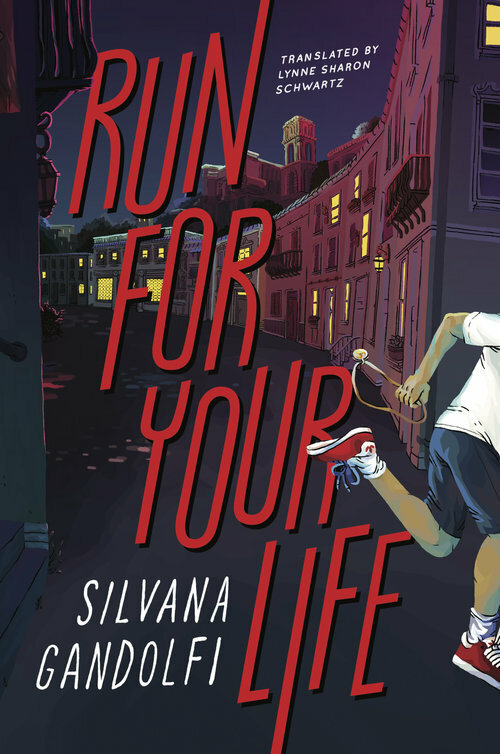 Okay, I found Run for Your Life by Silvana Gandolfi, translated by Lynne Sharon Schwartz, in my mail sometime last year. No idea how that happened. I don't know that it ever has before. Run for Your Life deals with a child whose family is involved with the Mafia in Palermo, Sicily. The first half of the book is an interesting back and forth between chapters involving Santino, whose father crosses his Mafia bosses and is murdered along with Santino's grandfather, and Lucio who lives with his mother and younger sister in another place. I figured out what was going on just before the big reveal, which is always satisfying. The rest of the book is a more traditional thriller. Far more interesting is the world of the book, illustrating the intense history Palermo has had with the Mafia. This will be a unique read for American child readers being exposed to different cultures with literature. Run for Your Life was published by Restless Books' Yonder Imprint, "devoted to bringing the wealth of great stories from around the globe to English-reading children, middle graders, and young adults." These people have published a book from the Icelandic! This could be your home for foreign books in translation.